When the fae beckon, few resist. Even fewer return. As a veil witch, I'm used to taking out the supernatural trash. Everything from poltergeists to vampires, you name it and I've dealt with it. So opening a paranormal cleanup business just seemed to make sense. If I'm already dealing with the pests, why not get paid? But when I accidentally breach the faerie realm to encounter a girl recently reported missing, start seeing the ghost of a witch whose disappearance has never been solved, and discover a Book of Shadows that opens only for me, I can't just go back to business as usual. Working as the only human barista at a coffee shop catering to the magical is a tough gig on a good day. Bailey Gardener has few options. She can either keep spiking drinks with pixie dust to keep the locals happy or spend the rest of her life cleaning up the world’s nastiest magical substances. Unfortunately for her, Faery Fortunes is located in the heart of Manhattan Island, not far from where Police Chief Samuel Quinn works. If she’d been smart, she never would have agreed to help the man find his wife. Bailey found her, all right - in the absolutely worst way possible. Jade McClaren is a thief with a mission...and a secret. 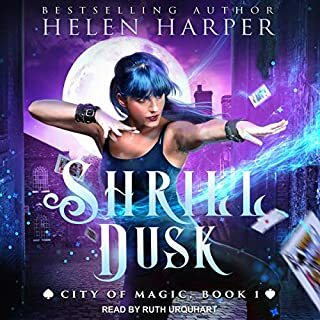 Jade makes a living stealing magical items from bad guys in magical New York, but she's no ordinary cat burglar. She's only half human. The other half is...something else. 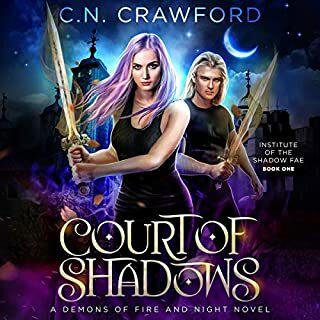 But when she steals a magical item from the wrong man, she attracts the attention of powerful enemies as well as the pursuit of the relentless Fae Knight, Davril Stormguard. 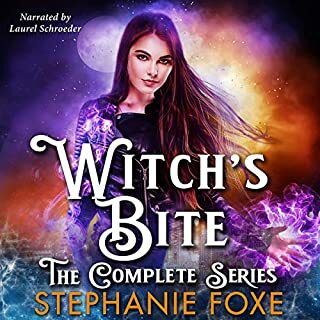 To clear her name, Jade must team up with Davril to contend with vampires, demons, witches, and more before what’s happening in post-Fae New York destroys the Fae Lords...and maybe the world itself. Dragon Shadow is the first volume of an exciting new urban fantasy series for fans of Patricia Briggs and Ilona Andrews. wow! I really loved this book! it was full of romance, drama, adventure, magic, and danger. I was sad when I reached the end. I didn't want it to end. lol I guess that means I'll have to get the next book. I received a review copy of this book in exchange for an honest review. Great start to a new paranormal fantasy series! I enjoyed listening to this audiobook. The story grabs you and keeps you entertained all the way to the conclusion. The main characters are great. Jade is strong and smart. Davril is a by the book kind of guy. He follows rules and enforce them, and Jade likes to break them. Here you will find dragon shifters, witches, Fae, vampires, and demons. 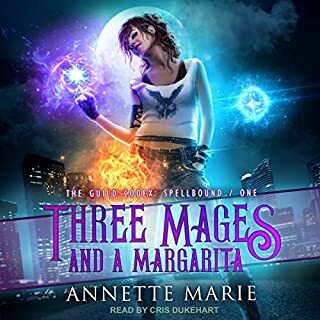 This is a great urban fantasy series. There is no cliffhanger per say but it leaves us wanting some more developments between Jade & Davril. They are attracted to each other but don’t want to admit it. Looking forward to their relationship growing in the next book. Interesting characters. 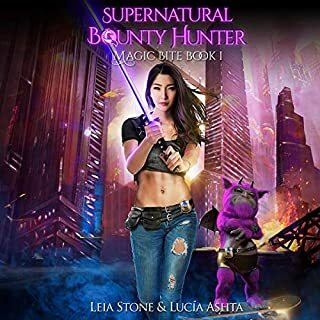 Magic, vampires, Fae lords, dragons and supernaturals. The female protagonist has guts and she's portrayed well by the narrator. Daveil, on the other hand have secrets, some emotional problems which he should try to overcome if he is to be the hero that he is. The storyliwe is exciting and interesting and there lots of actions. 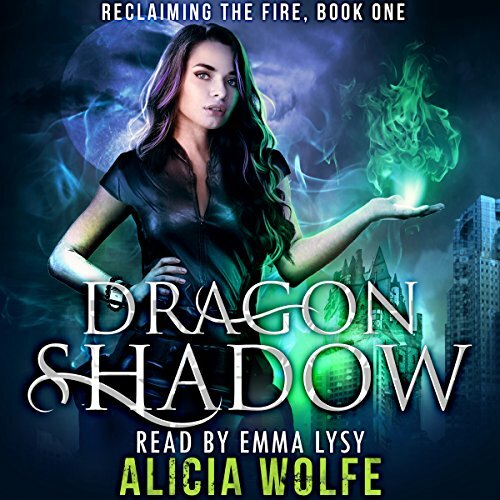 Smooth flow of the story and well written by Alicia Wolfe. Emma Lysy performed well and the story was brought to life. Worth a credit. Looking forward to the next book. The book was ok. A little cliche but it was ok. I feel like the author could’ve done more and made the characters more “adult” rather than love sick tweens. Seriously, a 1000 year old fae blushes and acts like a high school boy with a crush on a girl? Also, why have the boom titled “reclaiming the fire” when there was nothing “reclaimed”? That doesn’t make any sense. It just fell a little flat and I probably won’t be going to the next book unless I legit have nothing else to read. This is one of those listens that I just thoroughly enjoyed. The narration was wonderful and the story kept me engaged the entire time. I would highly recommend this book to people who love a good YA fantasy! I received a complimentary copy of this book. It's a fun little book, just the right length to be enjoyable as a romp through urban-fantasy land. The characters are interesting, but not very deep. It didn't have time to really develop the characters yet or to really make me care about them. There's just enough to keep my interest though. The main character is a firey (pun intended) chicka who is on a mission to take the baddies down a notch, and maybe get her fire back one day. 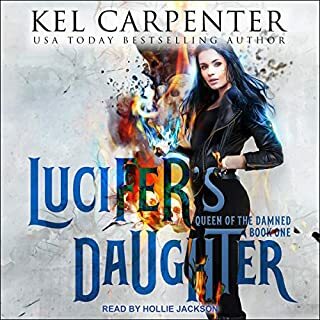 She gets into some dangerously fun situations and works with the fae to solve the main problem and rescue her kidnapped sister. The audio narration was great, good voices and pacing. The book is set up for an interesting series with the big bad spanning multiple books. This one set up a new partnership in our main character's life Final verdict: Fun urban fantasy, but not too deep. Loved this listen! Fantastic story and characters. Excellent narrator as well, she really captured Jade’s snark. I can’t wait to see where this series goes next! I received a free review copy of this audiobook at my request and I have voluntarily left this review. I got this ARC via audiobook boom and this is my voluntary review. when I first started listening I was not impressed. I pressed on and by chapter 5 I was really into the story. I loved the interaction between the two main characters. She has a strange sense of humor and he is very serious but they work together well. I especially liked the cemetery scene. The castle story was nice world building and as I listened I could visualize the scene. the narrator did each voice well and helped move the story along. I thought the ending was a little strange. glad her sister was saved. the battle was awesome. I loved the humor included throughout the story. It made it good. Some of the explicit language could have been left out. Oh yes, can't forget Lady K the flying car. I found I really quite enjoyed this one. The narration was pretty good and did a good job of bringing the story to life. I liked the spunky main character and found myself quickly rooting for her. The author does a pretty good job of world building and the plot was decent. All in all, this was a very entertaining listen. I'd definitely be open to more in the series.